Support for all new SSD plans! 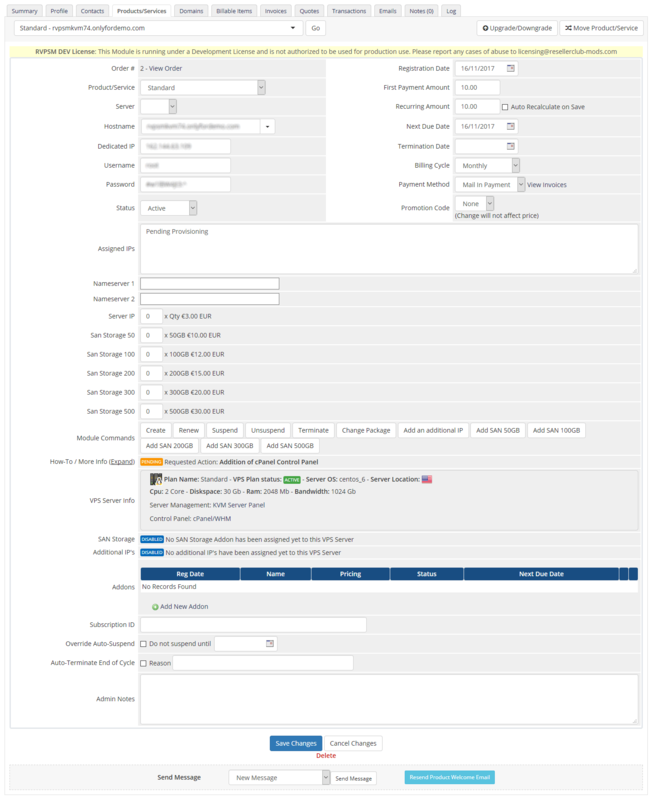 With our ResellerClub Reseller VPS Server Module you can sell and manage all current available and future added VPS KVM Geolocated Server Plans! Without limitations and fully compatible with all product/services and billing features from WHMCS including provisioning for Additional IPs, SAN Storage Addons, WHMCS Addon, Control Panel Addons and Server OS Addons. The Module for WHMCS takes care of every feature available for Resellerclubs KVM VPS Server Plans, seamlessly integrated with your WHMCS. 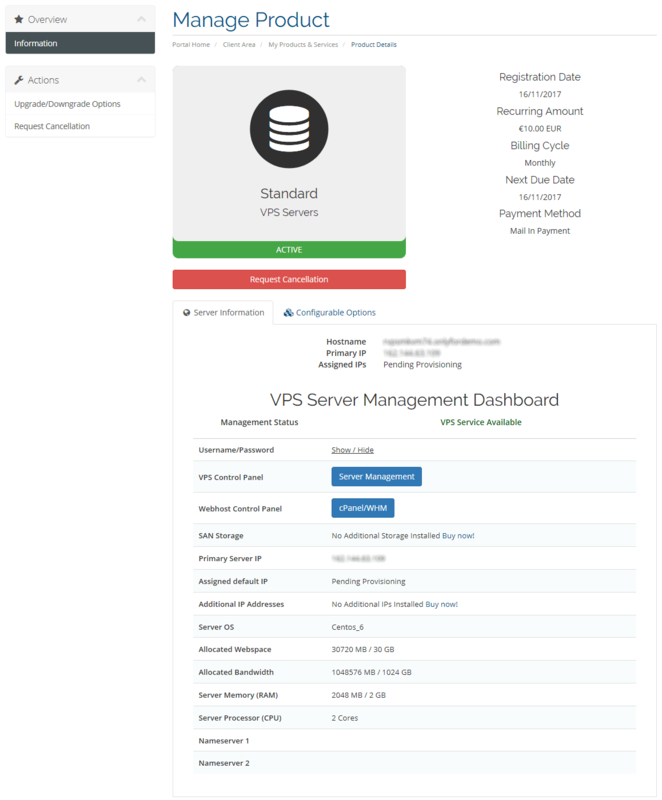 You can now sell and manage the ResellerClub KV Virtual Private Server Plans and your customers manage the VPS Service easily with WHMCS. Your customers will remain on your site and can directly login to the Server Control Panel from your site's client area Dashboard itself. This mod takes care of every billing, provisioning and management aspect of ResellerClub's VPS services. 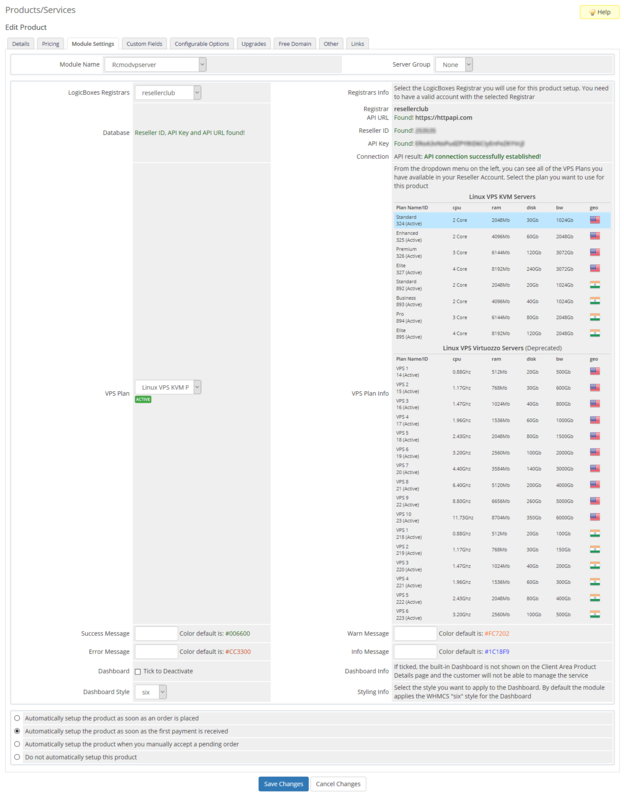 Included standard Email Welcome template when VPS Order is paid and active.